The QR-codes (Quick Response) are used by many companies to communicate product information. 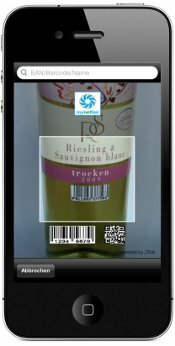 With the smartphone camera the customer can scan the QR-code and will be redirected to the regarding product info in the internet. This way the manufacturer can present his customer also videos, pictures, PDF-files etc. The mynetfair-QR-codes are even capable to detect the language settings of the scanning smartphone to directly switch into the regarding language.